Q-Mark Mounting enclosure can mount flat on the ceiling and extends only 6-inches into the room. The enclosure in Northern white color, measures 23-3/4-Inch x 23-3/4-Inch x 7-Inch. This enclosure is ideal for controlling built-in fan delay and space temperature using a wall or unit-mounted thermostat. It discharges the residual heat from the heater, thus ensures longevity and durability. Heater features automatic thermal cutout for shutting OFF the heater due to over heating and turning ON after temperature returns to normal state. 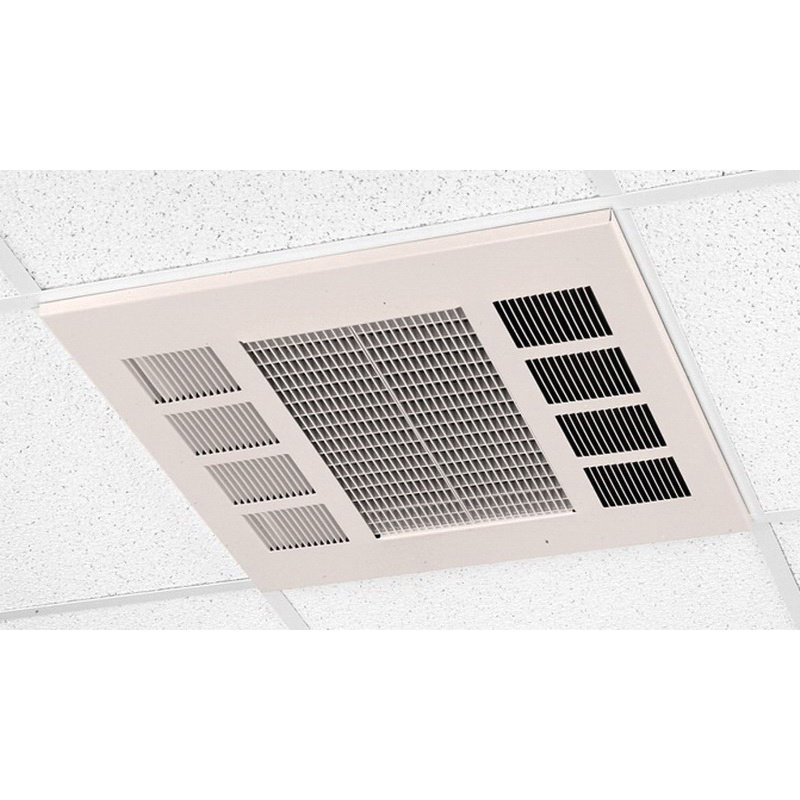 It is suitable for use with all CDF commercial downflow ceiling heaters. This recessed enclosure has a voltage rating of 277-Volts. * Inventory displayed is accurate as of 04/18/2019 23:40 PDT.